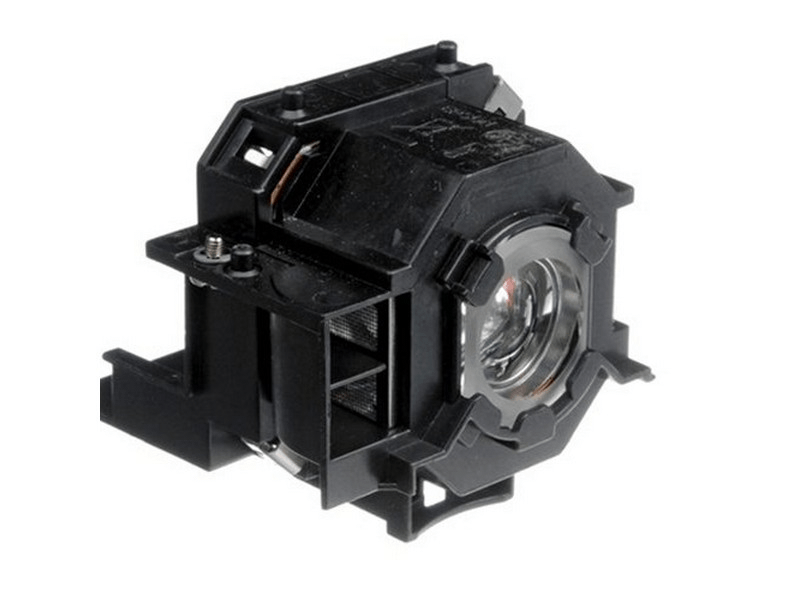 The Powerlite 822 Epson projector lamp replacement comes with a genuine original 170 watt Osram P-VIP bulb inside rated at 2,600 Lumens (Same brightness as the original Epson lamp). The Powerlite 822 lamp has a rated life of 3,000 hours (4,000 hours in Eco mode). Beware of cheaper generic lamp replacements sold elsewhere that have lower lumen output and reduced lamp life. Powerlite 822 Epson Projector Lamp Replacement. Projector Lamp Assembly with High Quality Genuine Original Osram P-VIP Bulb inside. These lamps arrive quickly, and are a perfect fit for our Epson projectors. They are roughly 1/2 the cost of OEM, but seem to perform just as well. I have had one in place for 3 months, and just ordered a couple of more.